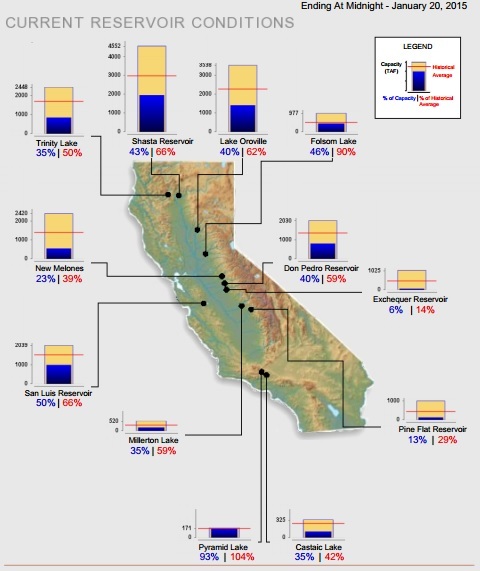 The Department of Water Resources has increased expected water deliveries to State Water Project customers from 10% to 15% of their requested amount. 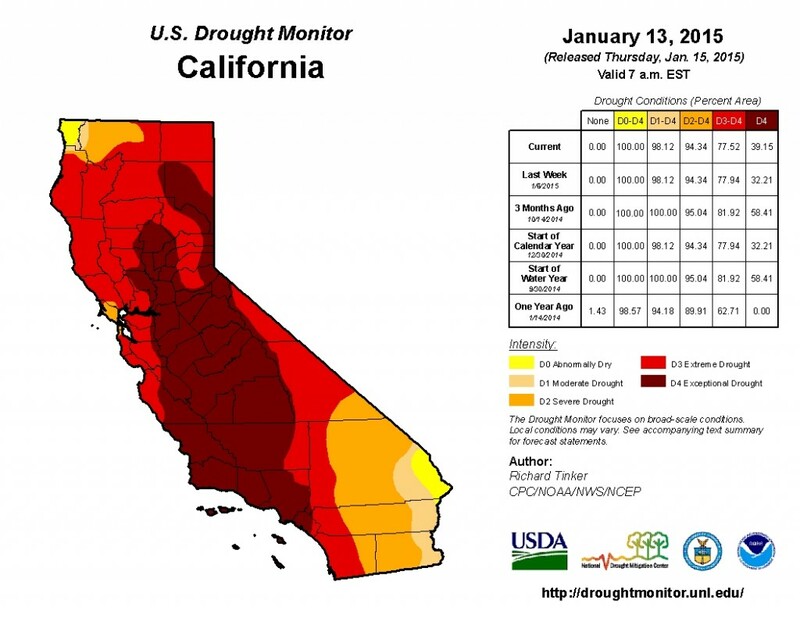 Last week, the U.S. Bureau of Reclamation and the California Department of Water Resources (DWR), together with the other state and federal agencies, submitted a Drought Contingency Plan to the State Water Resources Control Board for the Central Valley Project and State Water Project. 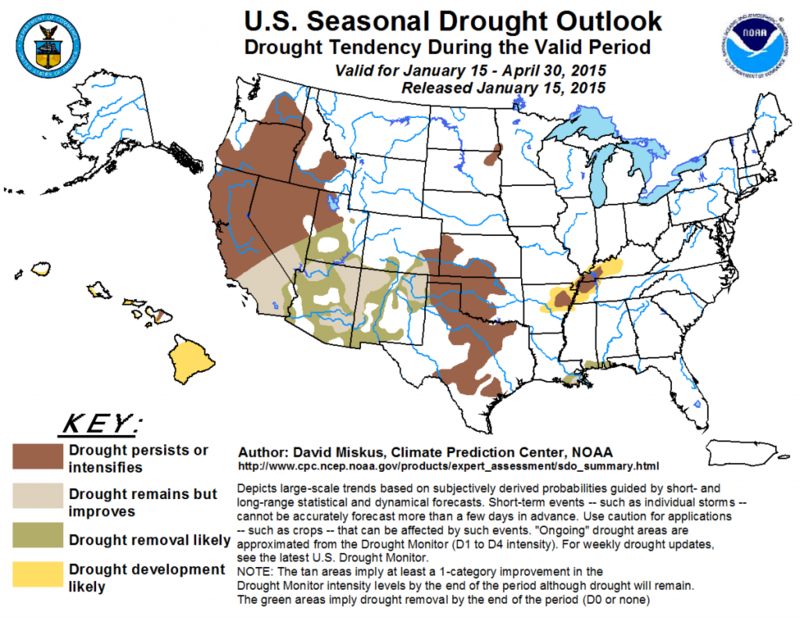 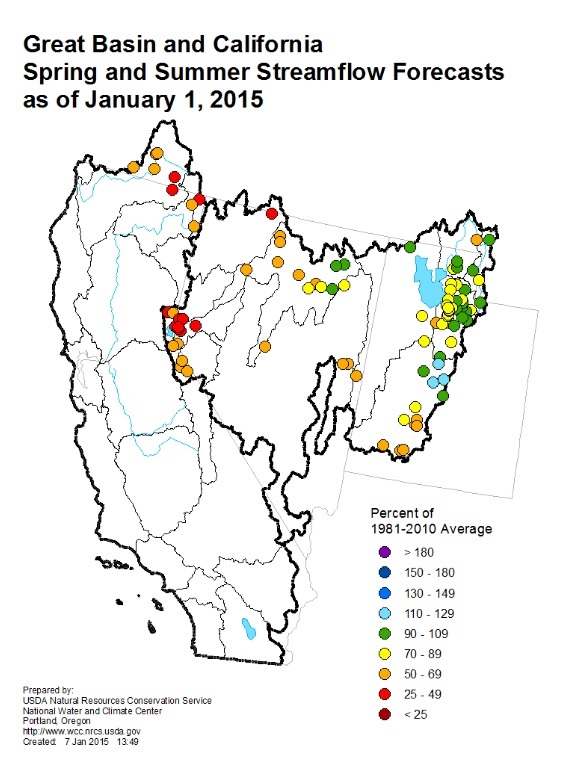 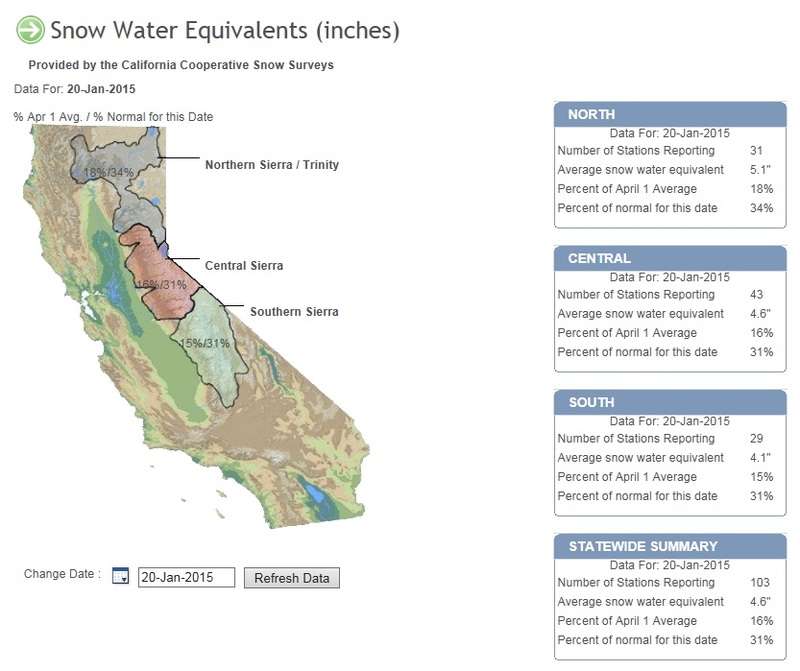 The USDA released this year’s first water supply forecasts, which expect 2015 spring and summer streamflows to be below normal in California. 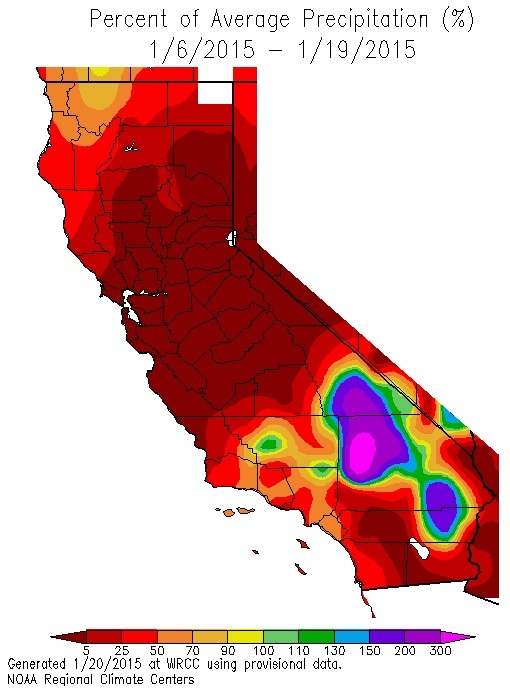 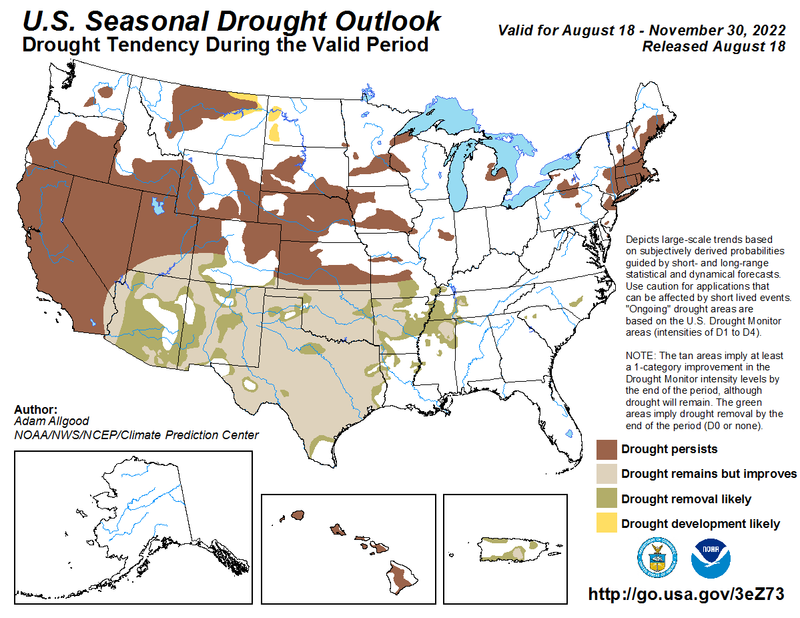 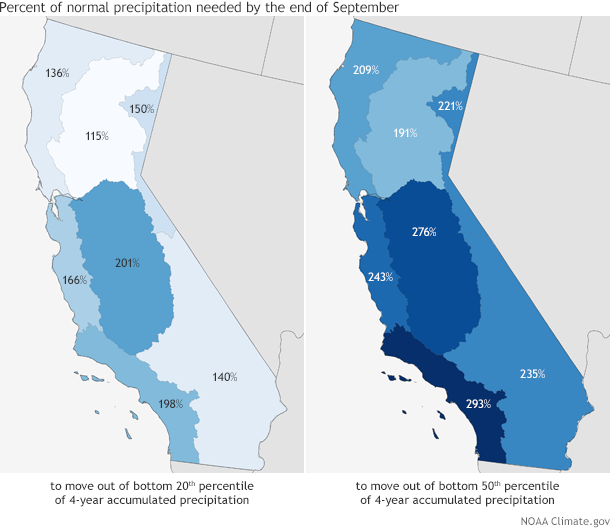 The National Oceanic and Atmospheric Administration published an article showing that most of the state would need more than double the average precipitation that falls between mid-December and September in order to bring the total precipitation for the past four years out of the bottom 50% of the historical record.